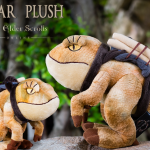 New Guar Plush is Cute, Sturdy Bethesda recently showed off this bit of cuteness, a guar plush based off the version of Morrowind’s favorite pack animal from The Elder Scrolls Online. The plush guar is being made by Gaming Heads. It’ll set you back $20. As a bonus, the guar also comes with a code for The Elder Scrolls Online that can be used to get your a digital guar pet in the game. I guess you could also make a wild guar equivalent with some scissors, if you wanted. The white guar might take some more customization. 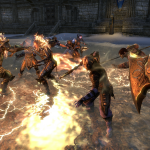 The Elder Scrolls Online is Now Available on Steam Kicking off QuakeCon, this week’s celebration of all things id and also ZeniMax, is the announcement that The Elder Scrolls Online will finally be available on Steam, the popular digital games platform. Both the standard and Imperial editions will be available through Steam. To celebrate the addition the game will be 50 percent off through July 21, 10 a.m. PT. The game’s Steam page is here. TESO Takes On QuakeCon QuakeCon starts tomorrow in Dallas, Texas. Now, although you might reason that this is a con for people to sit around play Quake, and only the original Quake (it’s not called Quake 2 con after all), it’s not. ZeniMax now owns Quake creator Id software and QuakeCon, so expecting to see Elder Scrolls stuff there is like expecting to see Big Macs at McDonald’s. The QuakeCon The Elder Scrolls Online events will include a panel on the future of the game, and there may be some juicy announcements. You can watch the panel and some of the other events live on Twitch.tv/bethesda. Fail to put a feature in your game? Players will try to find ways to add it on their own. 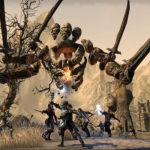 There’s no instanced one-on-one dueling system in The Elder Scrolls Online or a quick option to challenge players to a one-on-one duel, so the dueling guild Legend organized its own. tournament. A very hack and slashy time was had by all. The Elder Scrolls Online is offering a lot of new changes in The Elder Scrolls Online’s third update, but perhaps the most visceral is the chance to infringe copyrights, uh, I mean, express your creativity, with new dyes. The dyes allow you to change the color of your armor. 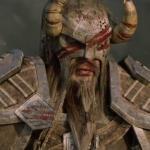 Some of the examples Zenimax has shared so far look very cool, and very familiar. In MMO worlds where everyone can look a bit samey, these will be a welcome addition. The dies will come along with new, visually distinct armor sets as well. OK, this is an ad. But it’s a hilarious ad. 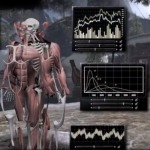 This sponsored content from The Onion hypothesizes a version of The Elder Scrolls Online where a player can design their character right down to the DNA. Spend five hours designing a liver? Sure thing. Of course, if your knowledge of human anatomy and the biomedical sciences isn’t comprehensive, well, your character will die. Or become a horrible mutant. 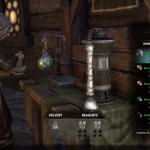 Here’s a very good guide to alchemy in The Elder Scrolls Online by Odin Online. The video shows you how to mix various waters and reagents for their maximum effects in potions and poisons. It also goes into other benefits of leveling the alchemy skill. It’s well edited and pleasantly laid out. 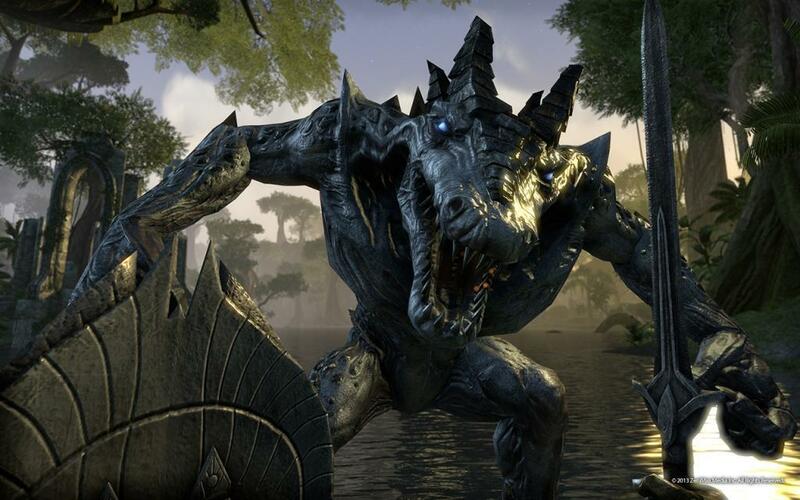 Craglorn and Other Updates Will Be Included When TESO Launches on Consoles When The Elder Scrolls Online finally makes it to consoles, you won’t have to wait around even longer for updates like the Craglorn adventure zone to be added to the console version. 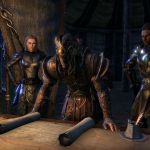 According to a Q&A post on theelderscrollsonline.com, “most (if not all)” of the updates for PC and Mac released between now and console launch will be included on the console versions on day one. Console players are currently sitting out a six month delay from the game’s original June release date, so the news that there wont’ be any additional delays should be welcome. 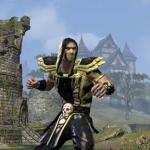 TESO Shows Off 3v3 PVP at Conventions The Elder Scrolls Online is geared toward large-scale PVP. That’s it’s bread and butter, that’s how they sell the game, and hey these siege weapons aren’t going to fire themselves. But Zenimax has been previewing a more intimate PVP experience at recent conventions, and it’s getting a good reception. 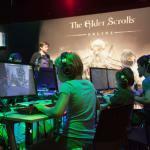 According to Massively, at E3 Zenimax had demos set up that featured a 3v3 Elder Scrolls Online PVP mode. The map features king of the mountain style gameplay where players battle for control of one flag, and takes place in a map about the size of one fort. Zenimax Lets Go 300 Employees Irish media are reporting big layoffs at ZeniMax’s customer service center in Galway, Ireland. “In April, the company said it wanted 200 more workers. They went through a week of training, worked for two weeks and were let go. These would have been people taken in on two to six-week contracts. Copyright © 2019 TESO, Skyrim and RPG News and Forums - Skyrim Forums, All Rights Reserved.